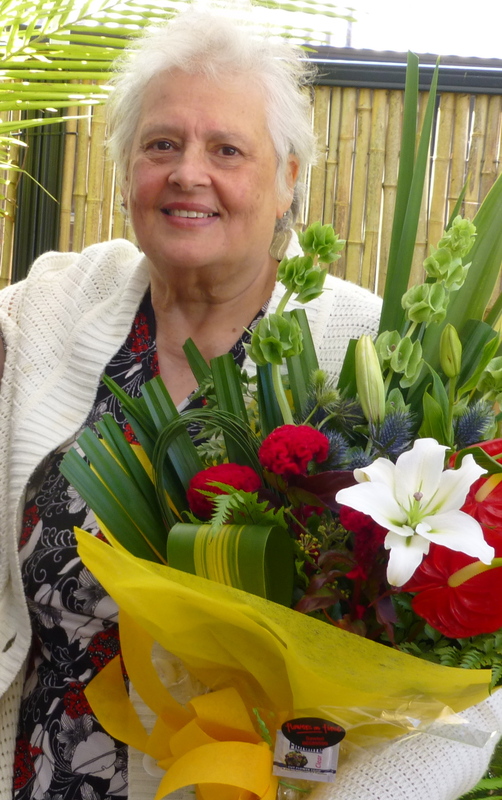 Ninette van Zyl Profile | Coffs Harbour Writers' Group Inc.
Ninette Van Zyl, former President of Coffs Harbour Writers’ Group was born in South African and now an Australian citizen. She is a mother of six children, and known as the galloping grandma, visiting all her family members in different states across Australia. The Coffs Harbour Writers’ Group has been her passion for more than twenty years, eighteen years on the committee and eight years as President stepping down in early 2012. She has tested the waters by becoming a self- publisher in 2009 when she wrote and produced a humorous story about minding a cat, called Little Adventures of Your Cat Humphrey. In 2011 Ninette was one of five playwrights that wrote the content for the show THE INVISIBLE WOMAN that was performed at the Jetty Theatre. In 2006, and in 2011, she edited and produced two anthologies books on Coffs Harbour Writers’ Group members commemorating the 20th and the 25th anniversaries. In the former years Ninette assisted the Group by producing and editing writers contributions in a little booklet SNIPPETS which was put out every three months over a four year period. Ninette believes being part of Coffs Harbour Writers’ Group has, and is, a most rewarding, and enjoyable experience meeting with lovely members of the Group.